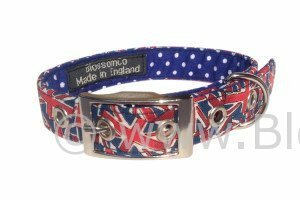 The Jack design by BlossomCo is a union jack dog collar with a twist! With its arrangement of deep red, white and blue flags on the outside and complemented by a deep blue polka dot lining, this collar looks outstanding. Very British, very individual. And handmade in Britain too! 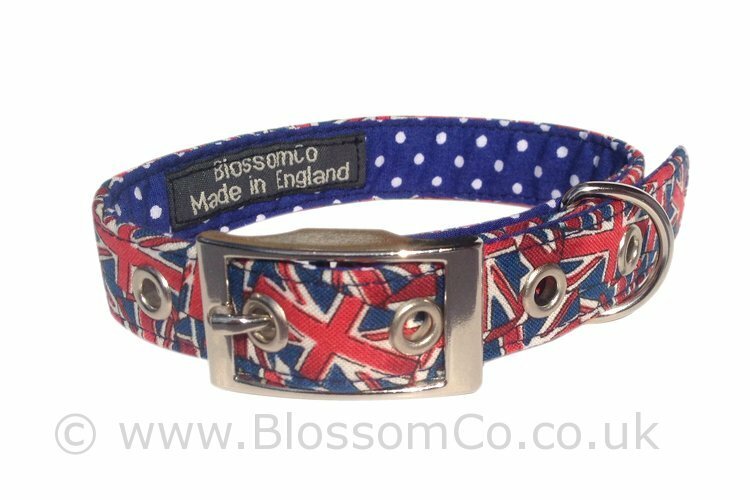 Of course, what could be better than a matching Union Jack dog lead too!